A mixed plate of free tapas piled mile-high comes with every drink you order. Is it any wonder this Chueca bar is always packed shoulder-to-shoulder with hip international types? Beer, wine, sangria and two kinds of cider: normal and sweet. 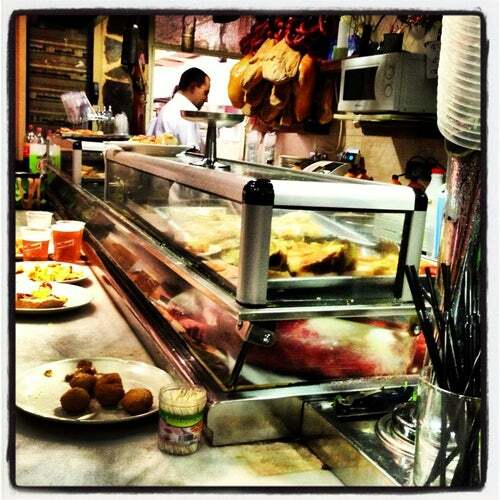 For free, not classy, tapas come here with the crowds socializing next to the bar. Always a great and busy place! One drink, gets you free mixed plate of tapas. Love the cider.